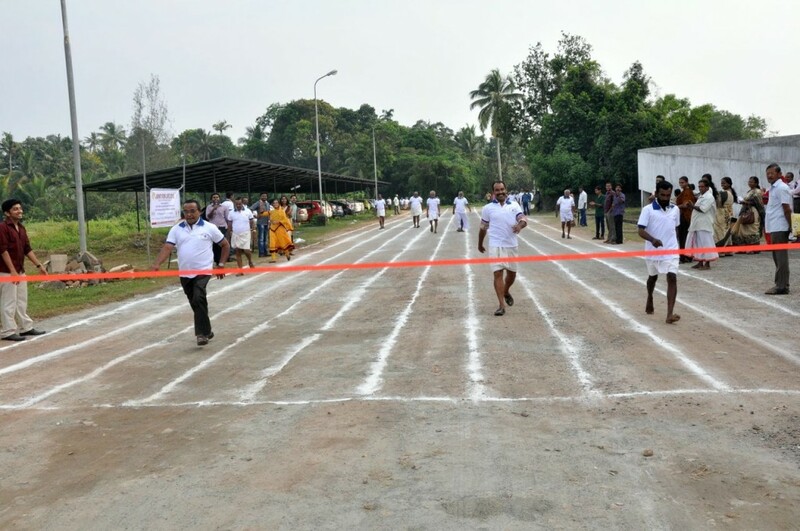 MINIMALLY INVASIVE SUBVASTUS TOTAL KNEE REPLACEMENT - DOCJOINTS//DR SUJIT JOS//Total joint replacements with the best quality care at affordable price options at kochi, Ernakulam, Kerala, India / Knee, hip, shoulder, ankle, elbow replacement, Sports Medicine – Keyhole / Arthroscopy for Sports Injuries / cartilage preservation and cartilage regeneration techniques / minimally invasive subvastus / rotator cuff repair, biceps tenodesis, subscapularis repair, shoulder dislocation, bankart, Latarjet / Dr Sujith Jose is a renowned Orthopedic surgeon with vast experience in Joint replacement and satisfied patients from all around the world. Economical / budget knee done as special package price/ cartilage restoration, OATS, Ankle arthroscopy/ acl pcl mpfl meniscus repair/ wrist arthroscopy tennis elbow/ modular imported high quality operation theatre – Johnson & Johnson theatre with double lamina flow – The best care for your joint problems! This special approach for Knee joint surgery allows a faster return to activity, lesser pain and a smaller incision. This allows you to bend your knee faster and with lesser effort. Wound healing is faster and you return early to normal activities like walking and climbing stairs. Our patients who undergo minimally invasive Total Knee Replacement surgery return to mild sporting activities like Cycling, Swimming or Golf in a very short time. In subvastus MITKR no cut is made on the underlying thigh muscle called the quadriceps. 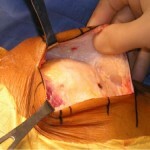 Instead the joint is approached below the muscle. This has huge advantages such as not weakening the thigh muscles at all and this is the reason that the patients are able to walk even without holding on to any walking aids almost immediately after the operation. 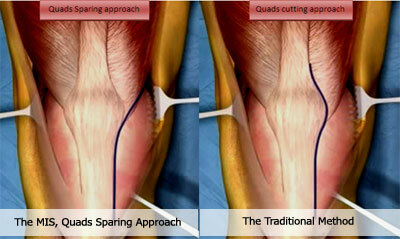 The traditional Medial parapatellar approach, which is still practised in many centres, involved cutting the quadriceps. If the quadriceps is cut, the patients typically need walking aids for 3 to 6 weeks to allow this cut to heal. 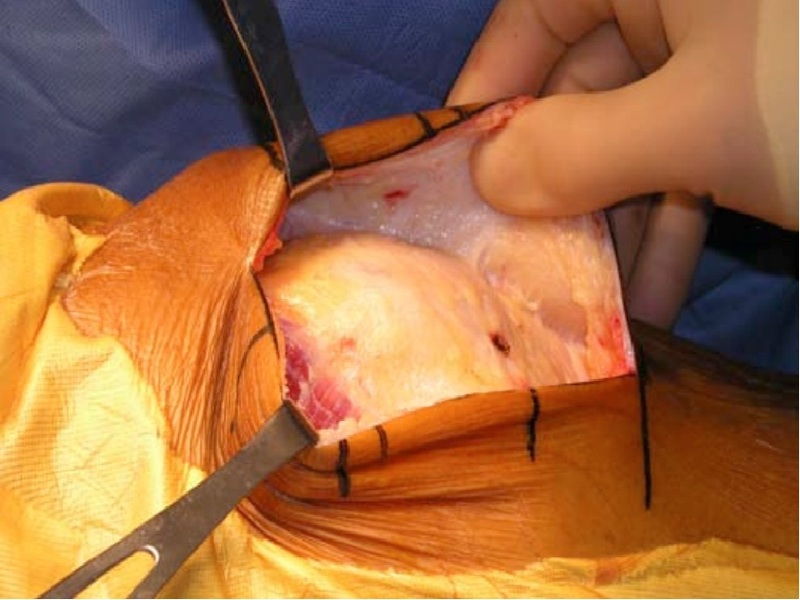 Moreover, cutting the quadriceps causes more pain and delays the recovery from the operation. 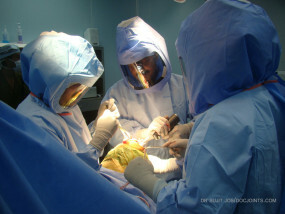 The instruments to implant the joint and the surgical techniques have been suitably modified so that the new knee joint can be implanted accurately through an incision less than 4 inches. This has advantages, as the lesser the cut on the skin, lesser is the pain and earlier the recovery. The mini TKR through the subvastus approach coupled with advanced postoperative analgesia reduces the pain associated with recovery after the operation. This allows the patients to bend the knee and walk freely very early in the post-operative period. 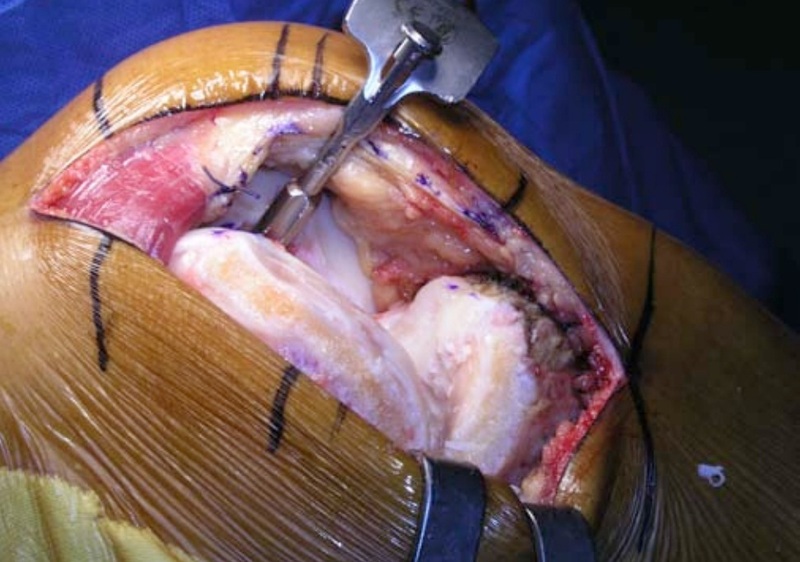 The ability to achieve full bend of the knee requires the joint to be implanted perfectly. Care is taken intra-operatively to ensure that the joint is bending fully on the operation table. 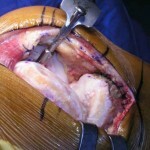 This allows mobilization of the knee to begin immediately after the operation and to eventually achieve full flexion. 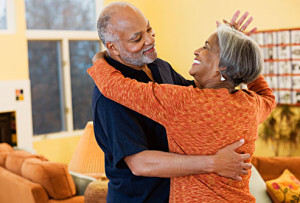 The high flex and mobile joints that are available help in achieving this aim. 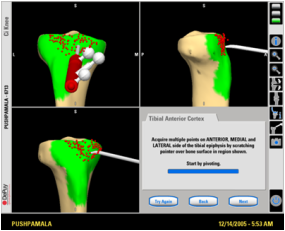 Atheletic competition for Joint Replacement recepients. The First prize winner had one Hip and both the Knees replaced by surgery. 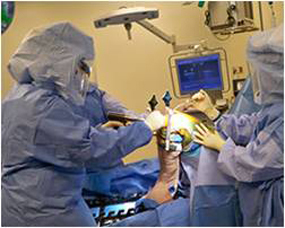 Minimally invasive total knee replacement is not suitable for all patients. You will be evaluated and several factors will be considered before determining if the procedure is an option for you.